The new transfer balance cap regime can make succession planning tricky. A member may desire to make their pensions reversionary upon death. 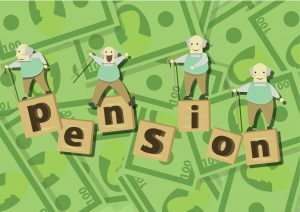 However, there may be situations where receiving these reversionary pensions would cause the beneficiary to exceed their transfer balance cap. Consequently, this may cause hassle for the beneficiary and SMSF trustee as certain pensions will need to be commuted to adjust to the transfer balance cap. To add to the complexity, in LCR 2017/3 the ATO appear to be of the view that a binding death benefit nomination (‘BDBN’) by itself would not make a superannuation income stream reversionary. This means that, broadly, if a member’s pension was not reversionary at commencement, they may not be able to subsequently use a BDBN, by itself, to make their pensions reversionary. That being said, we remain confident that DBA BDBNs in conjunction with DBA governing rules are still effective in making pensions reversionary. However, it still remains an issue in other situations. To solve this problem, DBA Lawyers has developed and is now offering death benefit payment deeds. Our death benefit payment deed seeks to ensure that upon death, any account-based pensions being paid automatically reverts to a beneficiary up to the maximum amount based on that beneficiary’s transfer balance account. The balance can then either go to the beneficiaryor to the deceased’ estate as a lump sum. Please note that our death benefit payment deed can only work in conjunction with DBA’s SMSF governing rules. The deed is priced at $1,600+GST per SMSF (softcopy only). Please email [email protected] for pre-orders. We recommend that, due to the complex nature of superannuation, legal, tax and succession planning, the documents should always be reviewed and approved by an experienced lawyer. If you are not a qualified lawyer you should be aware that, broadly, the legislation regulating legal practice in each State and Territory in Australia prohibits non-qualified persons from preparing documents affecting the legal rights of an individual for a fee unless they are a duly qualified legal practitioner. If you require DBA Lawyers assistance with any aspect, we would be pleased to assist. Please let us know.